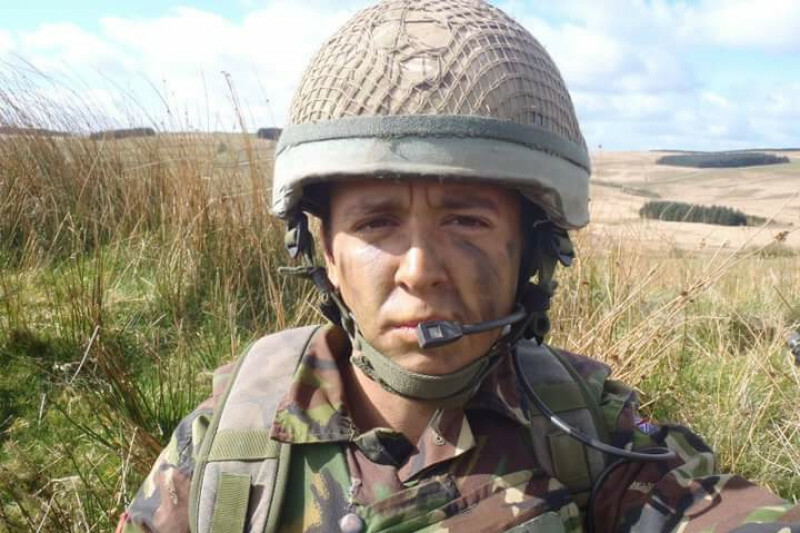 On Christmas Eve our son, a former soldier Adam Williams, was robbed of all his possessions, hospitalised and arrested, whilst holidaying in Thailand. Adam had been saving for a year, excited to go travelling upon finishing his 10 year career with the Army. With his savings, he ventured across Malta, Sicily, and Rome, before meeting up with his old high school friends in Thailand. Adam had a great time in Thailand however, with Christmas approaching, his friends decided to return to the UK and Australia. Adam stayed in Thailand on his own. It wasn't long after Adam's friends left that he was robbed of all his possessions and assaulted by persons unknown to him. During the incident, the police arrived. The assailants were never caught, but our son was taken by the police, whereby he was hospitalised for treatment of injuries and later moved to jail on remand - we don't know why. Having been assaulted, robbed, arrested, and incarcerated in a foreign country, with no understanding of the language, Adam understandably suffered a mental breakdown. He has been on remand since New Year’s Eve drugged, and shackled to a hospital bed. We are desperate to get our son home. 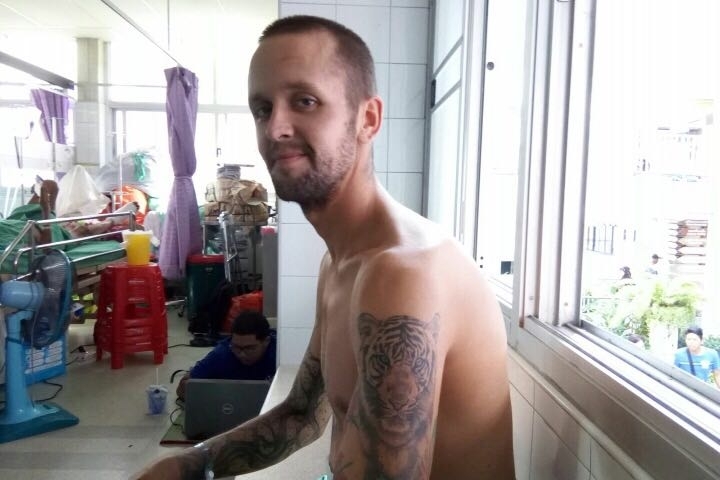 The Thailand Medical services have quoted £20,000 for a medical repatriation where he would be accompanied by a doctor. This expense is an overwhelming financial burden. We ask for you to contribute anything you can to help us bring Adam home. Thanks you for all your support, Adam is home! The RG have pulled out all the stops to get him back. 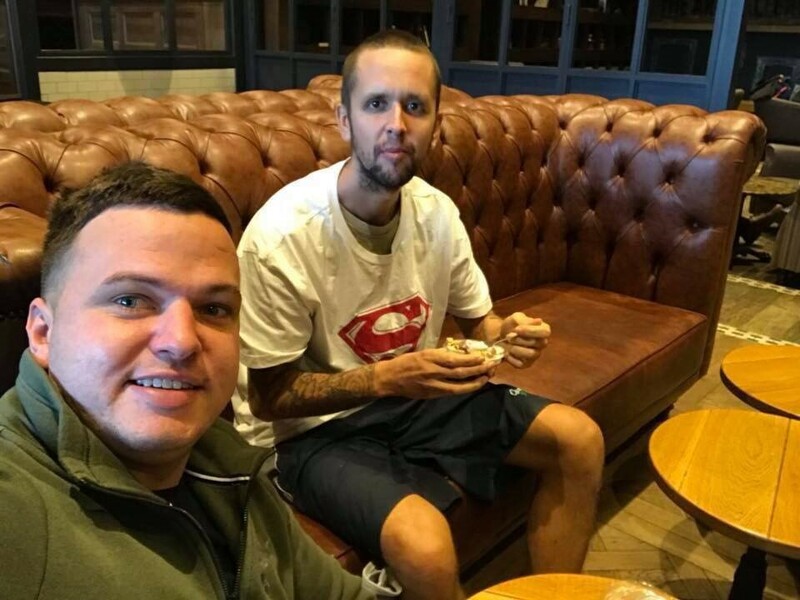 His parents have contributed a significant amount of money and Adam still has a long recovery ahead. After seeking advice from donors we have decided to refund all donations of 100 pounds or more. the remainder will be given to Adams parents to be used towards his ongoing care. Thank you so much to everyone that donated or shared Adams story. 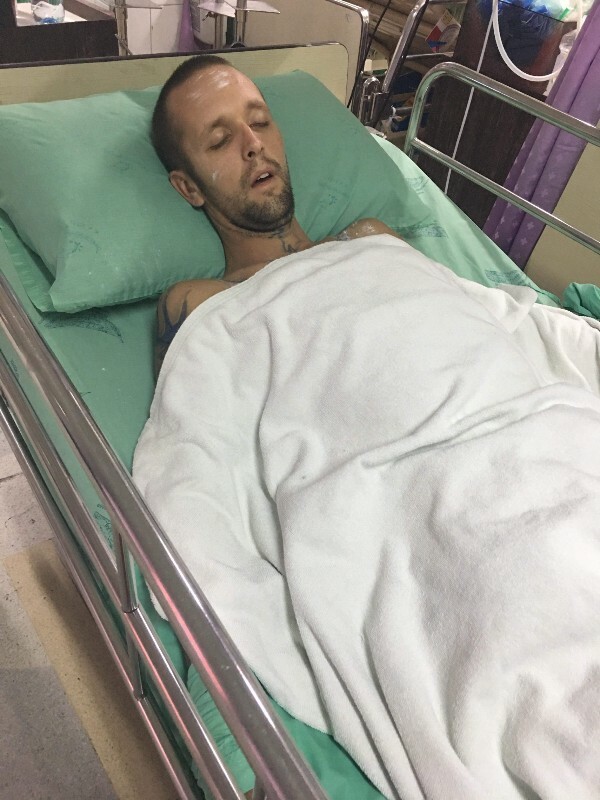 Adam is still in hospital in Phuket. Physically he is recovering well but he is still being looked after for psychological reasons. I have paused donations until more details come out as there is a possibility he may not require a medical repatriation. The information is delayed due to multiple agencies being involved. I will post updates as and when I get them.